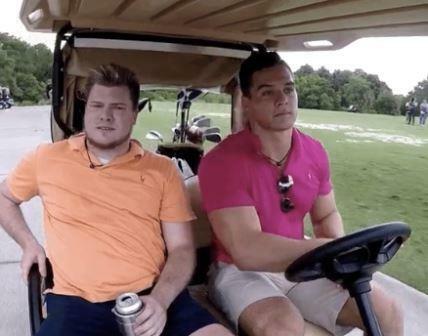 Last night’s Floribama Shore continued where it left off. The Butts’ are still in town! I guess the family that drinks together stays together. Last week we left off with Codi Butts’ father questioning Candace Rice about the possibility of a date between them. Could this be a match made in heaven? Or is Codi just more comfortable wearing down dating a girl in the house? Let’s not forget, he tried to have something with Aimee Hall in the past. Everyone is out at the bar having drinks. Codi has to leave the table to throw up, per his usual drinking ritual. His father continues his inquisition now that his son is out of sight. Candace tells his father that when he asked before, she was in a relationship. His dad is definitely working the situation because he further presses her further with, “You’re not in a relationship now”. Candace finally agrees to a date, thanks to his dad. Well, you have to love a girl who agrees to a possible date while the guy is in the bathroom puking his guts out. After returning home, the guys hang out with Codi’s family outside. Everyone really appreciates Codi’s relationship with his parents. Many of them admit they couldn’t drink and hang out with their parents in that way. Gus becomes emotional seeing how much love Codi receives from his family. He reveals that his parents told him that he was a “black mark” on their family. Wow, that has to be hard to hear from your parents. In the past, Gus shared his comes from a strict, religious household. I am sure his family is not happy about his participation in this show. He wants his parents to accept him for who he is as a person. Codi’s parents offer to become Gus’ second family. Codi finally decides to bite the bullet and personally invite Candace on a date. I guess it doesn’t count when your dad does it for you. He pulls her outside and she immediately thinks something is wrong. Little does she know, Codi plans on making her his boo. He wants her to know how she should be treated and wants to invite her out for beer and wings. I’m not sure, wings and beer is the way to wine and dine a woman, but anything is better than her ex Gator Jay. To his surprise, she happily agrees to go out later that night. Codi a bro day with Jeremiah Buoni golfing. They reminisce on the beef they had earlier in the summer and how far they have come in their friendship. Yes, it’s a miracle they are even talking after Codi went off on him in the beginning of the summer. I still remember when he called him fake and said he thought he was better than everyone. I don’t think Jeremiah was being fake, but he did definitely used to have an air of superiority about himself at times. Codi just happened to be the messenger, but he was not the only castmate who felt that way. Gus’ dad calls to check on him and he nearly sobs during the phone call. His dad actually seems loving and like a normal parent who wants the best for his child. He wants him to make the right decisions. I know my mom wouldn’t cheer me on to get drunk and sleep with people on national TV. I think it’s great that Codi’s parents don’t have a problem with him drinking and throwing up everywhere, but that doesn’t make them better parents. I can only judge Gus’ family by what he reveals and hearing the call, but his dad seemed like a concerned parent Gus may need to toughen up and realize parents don’t just blindly support everything you do. Especially, if they think your decisions could impact you getting a job later in life. Codi truly knows the way to Candace’s heart. In preparation for the date, he gets her some flowers and Hennessy. Nilsa finds out about the date and gushes about how sweet the gesture is. Aimee and Kortni discover the flowers on the bed and totally freak out. They literally hide in the closet to see Candace’s reaction. Candace confesses she has never been on a “real” date before. I’m assuming she means a date where a guy woos her beforehand. That is sad, but I am glad she is finally being treated like the lady she is. On the date, Codi is opening doors and pulling out chairs and showing what it means to be a gentleman. Candace is smiling from ear to ear from all of the attention. The happy couple gets to know one another better over beers. Later, they head over to another bar for dancing and live music. Later, Codi has the band shout out Candace to the bar. Aww… Codi really did everything to make her feel special. They both agree this is the best date they have ever had. Meanwhile, the roommates are heading to their favorite bar to have some fun. First, what the hell does Jeremiah have on? 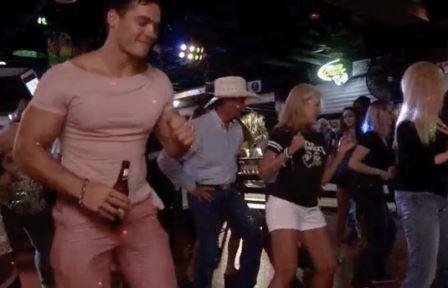 He has on what looks like he has on Candace’s shirt and pink shorts. Second, what the hell does Gus have on? He looks like an overgrown child with those overalls. Drunkni is full effect tonight! She literally grabs an old woman and starts making out with her. Ummm… gross. I literally couldn’t eat my popcorn after watching this. Then, she turns right around and makes out with the guy she hung out with last week and another random woman. As they are exiting the bar, a woman screams at Aimee and Nilsa, “You’re making PCB look ratchet”! Of course, Aimee didn’t let that go and argued with the woman. She literally punches her, when she says Nilsa “looks like a whore.” Nilsa drags her friend away from the random who clearly wants some camera time. But I have to admit, Drunkni is definitely ratchet, so she wasn’t completely wrong. The supposed victim plays her role, as she cries and holds her hand to her face. Let that be a lesson to women who like to talk s%$*# at bars, you never know who is going to react. While riding home, the girls are stopped by the police. Aimee gets arrested!!!! Stay tuned for next week to see how this unfolds! TELL US –WHAT DID YOU THINK OF CODI AND CANDACE’S DATE? DO YOU THINK AIMEE SHOULD BEEN ARRESTED? DO YOU THINK GUS’ PARENTS ARE CONCERNED OR THEY AREN’T ACCEPTING OF THEIR SON?